Solar lit containers provide a great interior lighting solution to dark work spaces, which helps keep both your items and your team safe. 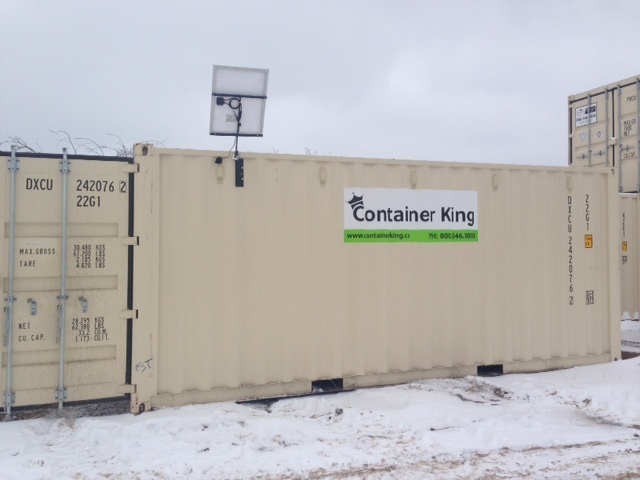 Container King’s solar powered storage containers or sea cans provide jobsites with a long-lasting light source. These lit containers supply your team with the ability to work before sunrise, after sunset and in low lit conditions. Our new solar storage containers solve the problem of fumbling around in the dark to find the equipment, tools, and supplies you need to start or end your day. Solar lit shipping containers are transportable and can be placed just about anywhere the sun shines. They are a great option if you are in a remote location and don’t have access to a power source. 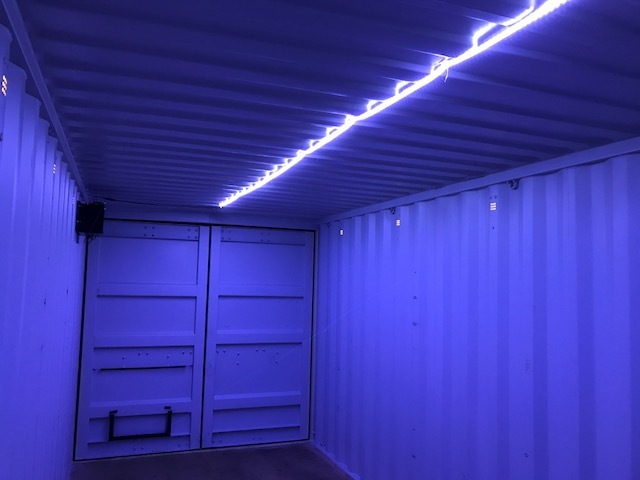 Containers with overhead interior lighting help keep workers safe when it’s time to gather the equipment, tools and supplies needed to complete the job. Designed, installed and tested by our team here in Canada, our solar lit shipping containers are extremely durable and stand up to the “classic” Canadian winters. Our solar lit shipping containers give you flexibility, efficiency, and around-the-clock access to your shipping container. 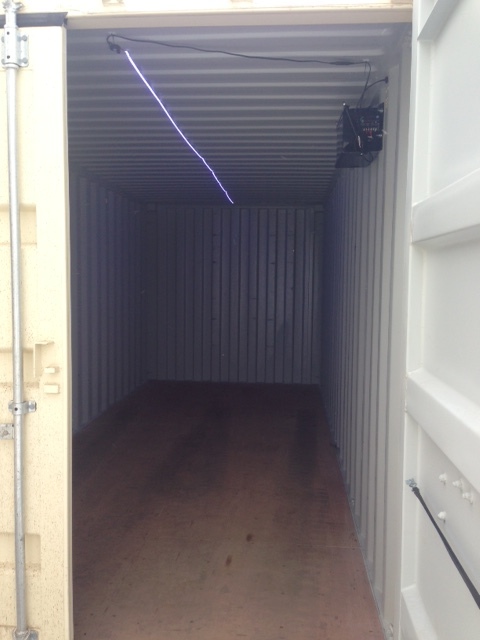 Your entire container can be quickly illuminated with just the flick of a switch. Make the most of your portable storage or work space with a Container King solar lit shipping container.